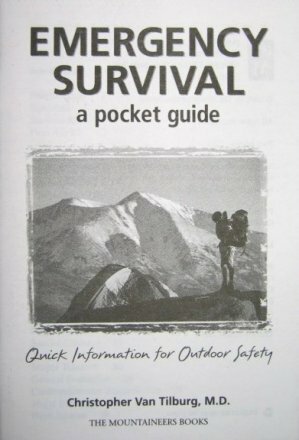 This Emergency Survival Pocket Guide is ideal for a survival kit. It provides quick information for outdoor safety and survival to include Preparing for an emergency, essentials, a survival kit and first aid kit. A section on Surviving in the Wilderness includes general survival procedures, evacuation plans, signaling, procuring water, being lost, navigation, shelter, fire, procuring food and special climates. It also includes a large section on first aid. Measures 4" x 6" x 1/8" thick.